This instrument was returned to playing condition. The instrument as it arrived. Nine out of ten of the interesting tuning machines work. 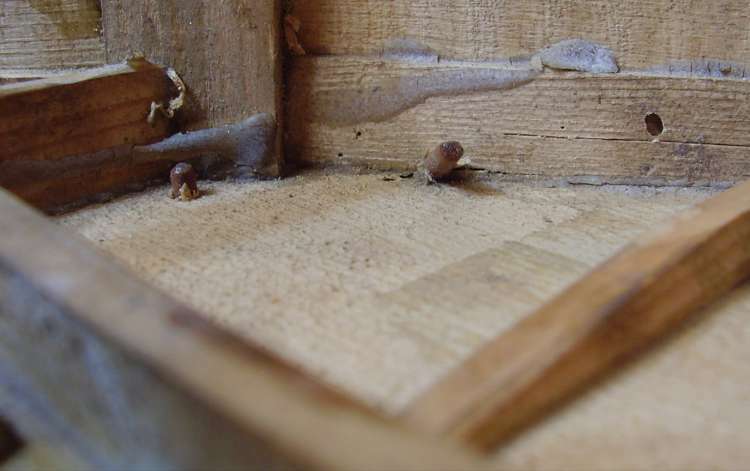 The tip of the head is broken off, the back coming away from the body and many bars loose. 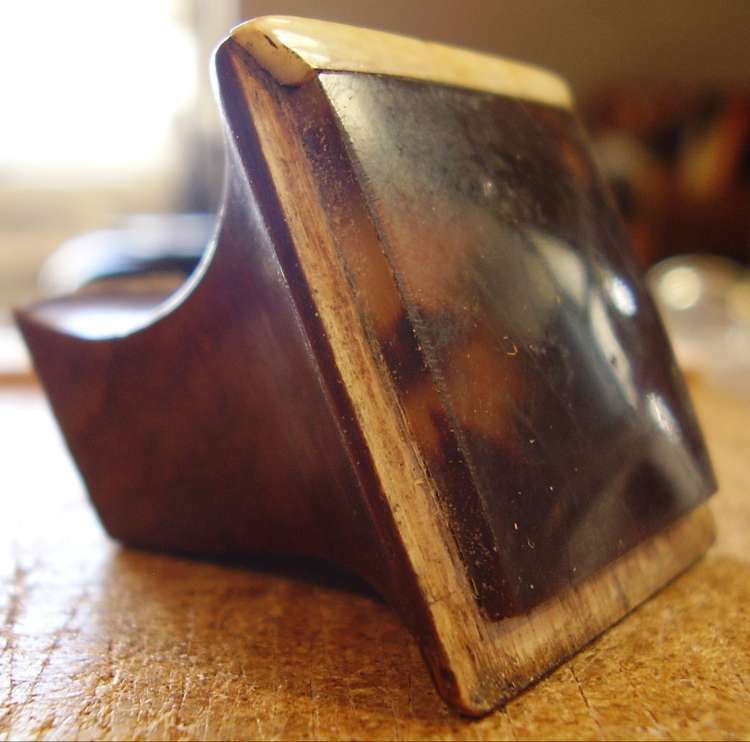 Inlay is missing from the tip and the bridge has lost it's ivory top. 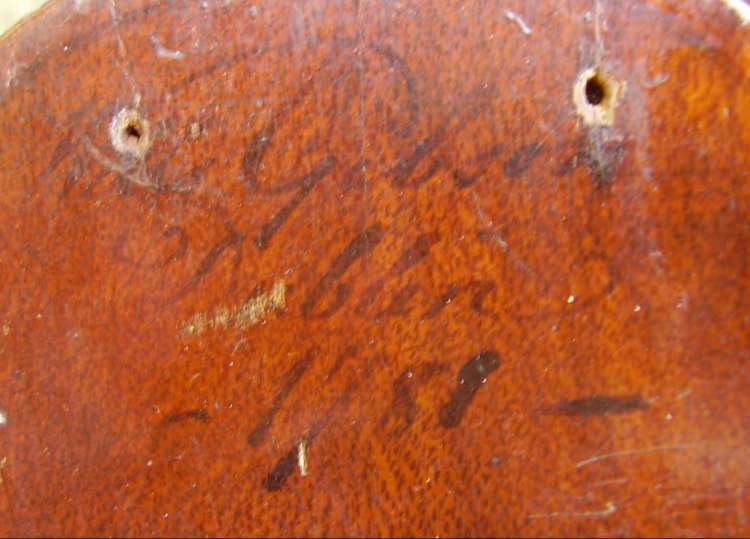 Gibsin's signature and date are written under the varnish at the heel. This English guittar came with a capo which fits into holes drilled in the neck. 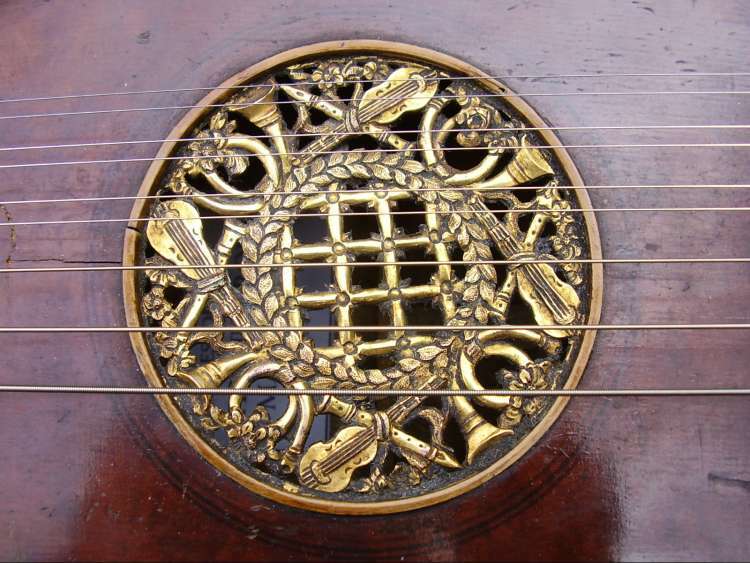 The nut shows the strings arranged in five courses of two strings each. The more usual arrangement is top four courses paired and bottom two courses single. There are other old English guittars in Dublin set up as five course instruments. The back was easily removed as it had already partly come away. 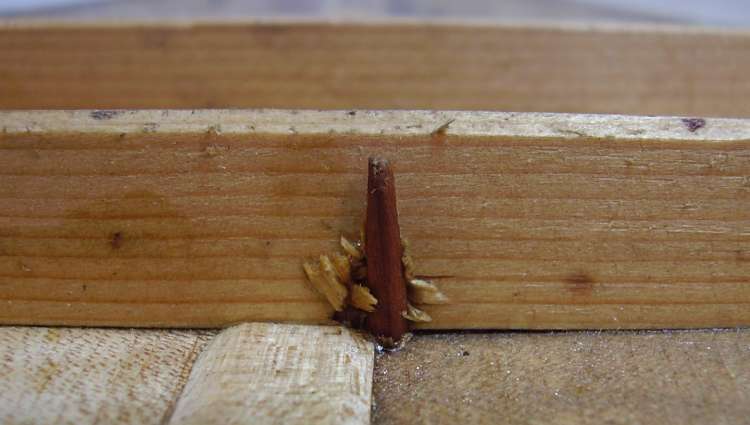 Most of the bars needed re-gluing to the back. 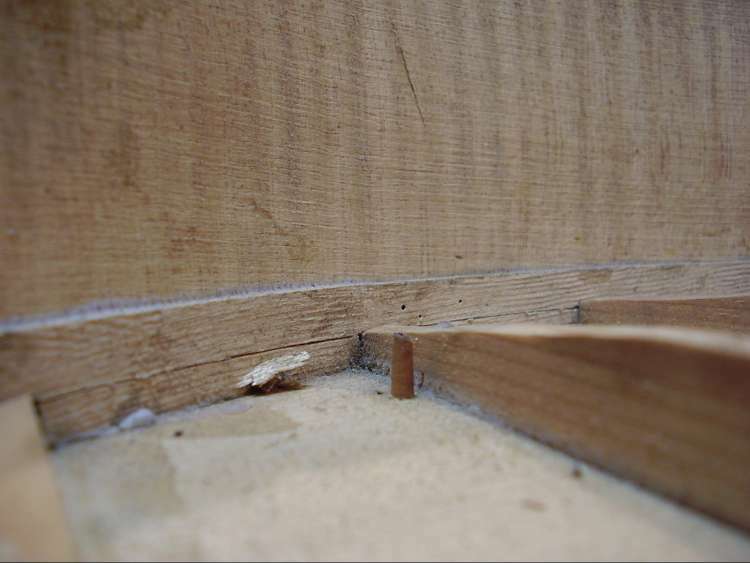 One back bar remained tightly glued to the body. 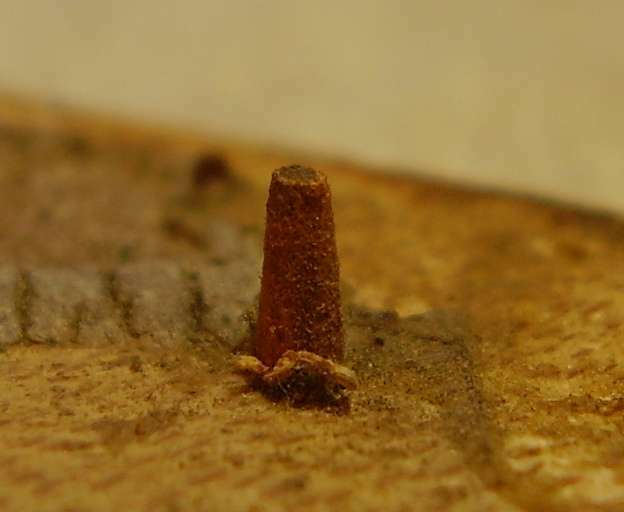 A previous repairer had used metal pins to help reposition the back and these are visible in the larger version of the photo of the back. 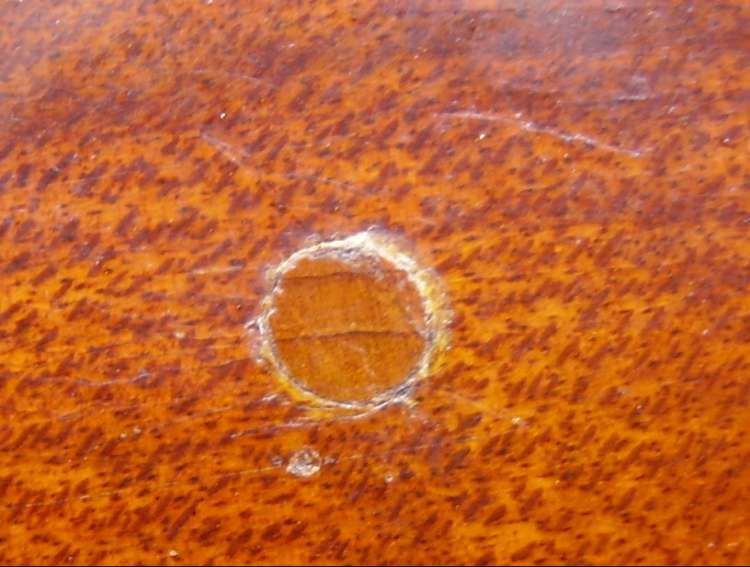 The instrument has had woodworm infestation. I left the holes unfilled but perhaps a previous repairer did not. 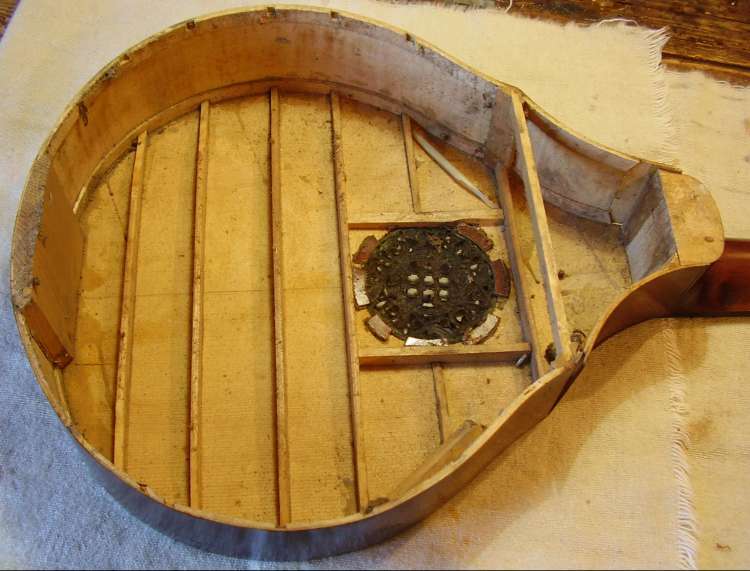 The outside of the instrument has many examples holes filled tiny round pieces of wood. 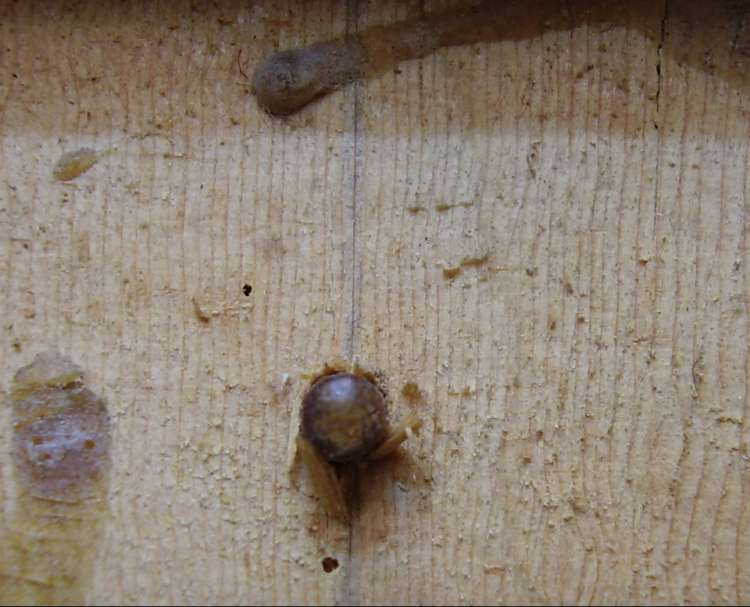 Some of the holes are woodworm size, others larger - the one shown here is about 2.5mm in diameter. 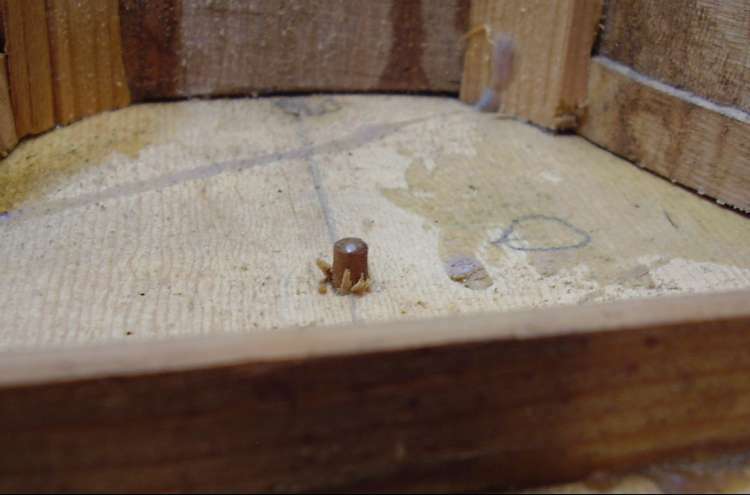 Inside the instrument we can see that the holes have been filled with wooden cones. Trimmed flat on the outside, they are very noticable inside. There were more than twenty cones. 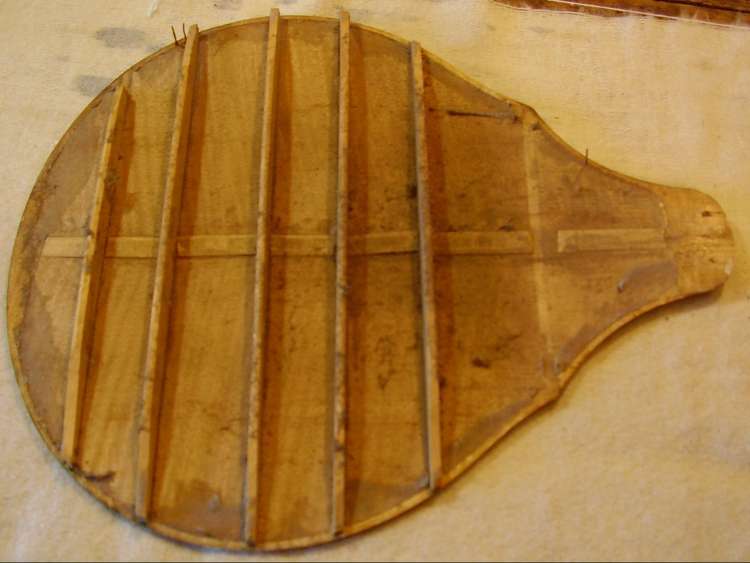 This type of repair would have been done without needing to have access to the inside of the instrument. The rose is thin metal. It looks as if it was stamped rather than cut. It is crudely attached to the soundboard and is not aligned with the centre-line of the instrument. The bridge with it's new bone edging. The restored English guittar. It is strung with nine strings. The fourth course, which should have been double, is single due to the one non-working machine head. The string length is 472mm and I tuned the instrument to A. The tuning is A C# E a c# e.